Writer John Burroughs was born on April 3, 1837, in Roxbury, New York. Like Henry David Thoreau before him, Burroughs gained a wide following for his observations, in the form of nature essays, of the world around him. Burroughs published his first collection of nature writings, Wake-Robin (excerpted in In the Catskills), in 1871. Among his best known works are Birds and Poets (1877), Locusts and Wild Honey (1879), Signs and Seasons (1886), and Ways of Nature (1905). 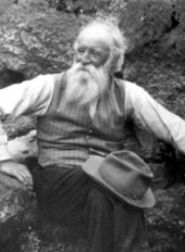 John Burroughs (April 3, 1837-March 29, 1921) was an American naturalist and essayist important in the evolution of the U.S. conservation movement. According to biographers at the American Memory project at the Library of Congress, John Burroughs was the most important practitioner after Thoreau of that especially American literary genre, the nature essay. 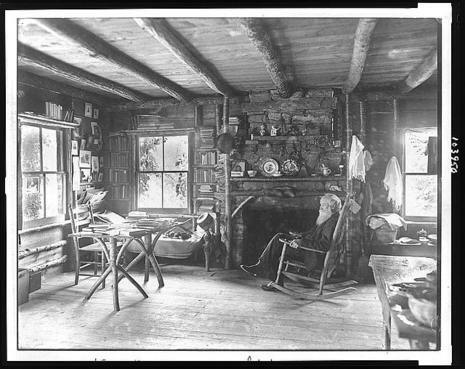 By the turn of the century he had become a virtual cultural institution in his own right: the Grand Old Man of Nature at a time when the American romance with the idea of nature, and the American conservation movement, had come fully into their own. His extraordinary popularity and popular visibility were sustained by a prolific stream of essay collections, beginning with Wake-Robin in 1871. In the words of his biographer Edward Renehan, Burroughs's special identity was less that of a scientific naturalist than that of "a literary naturalist with a duty to record his own unique perceptions of the natural world." The result was a body of work whose perfect resonance with the tone of its cultural moment perhaps explains both its enormous popularity at that time, and its relative obscurity since.